Halo Top is a healthy ice cream that actually tastes good! I've raved about this ice cream a couple times on my blog before but since they released new flavors I have to rave about it again! 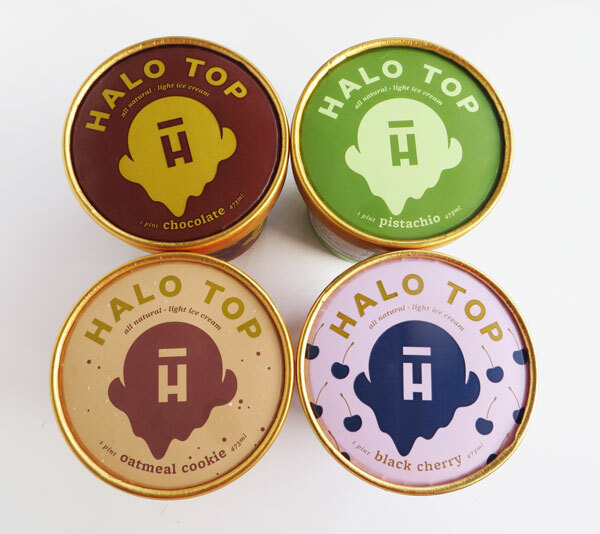 Halo Top is a low calorie ice cream sweetened with erythritol (a sweetener naturally found in fruits like pears and grapes) and stevia. I was very skeptical about this ice cream, but it's honestly a game changer. This stuff legitimately tastes like ice cream, not diet cream, or fake cream. 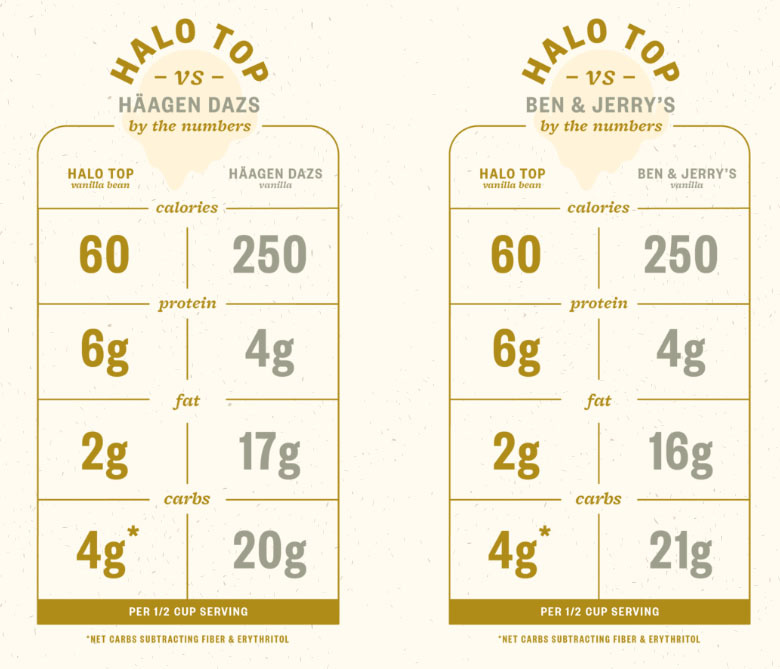 Halo Top has this comparison chart on their website for one ½ cup serving to show you how it matches up to other major brands. I went and compared the pistachio flavor on Haagen Dazs and Ben & Jerry's sites for myself and there's just no comparison. Halo Top has just 2 grams of fat vs 17 grams for regular ice cream. It also has much less sugar! It costs $5.69 for a pint. You can find it at Whole Foods. My favorite flavors are Mint Chip, Chocolate, Vanilla, Oatmeal Cookie, and Red Velvet. The only flavors I wouldn't buy again are s'mores and sea salt caramel as they had a weird taste to them. Pistachio had zero flavor and black cherry reminded me more of frozen yogurt. I haven't had any of these yet but I definitely need to try them. 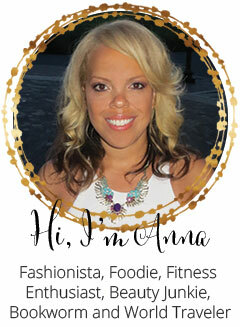 The oatmeal cookie sounds delicious! I'd have a hard time keeping that one away from my son! I LOVE Halo Top. I've tried a bunch, but so far I like Black Cherry the best. I want to try the pistachio though! Halo Top is the BEST! I'm so glad they've come out with a Black Cherry flavor, since that is one of my favorites. I can't wait to try it! I am in LOVE with Halo Top!!! The birthday cake is my favorite! I've been dying to try the red velvet!